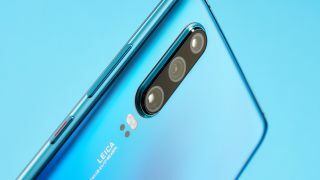 I've reviewed a few phones for TechRadar now, but I hadn't found the camera a particularly compelling part of them – until I picked up the new Huawei P30. That's not to say the cameras in other phones were bad – the Xiaomi Mi 9 has a fantastic snapper for its price, and the ROKiT IO Pro 3D's 3D photography is a novelty if nothing else - but while it was fun experimenting with these handsets for the purpose of a review, I’d never used a phone camera for novelty, non-review purposes. In fact, not since my first smartphone in the Samsung Galaxy S3 Mini (I was reluctant to give up my LG flip-phone, okay?) with its feeble 5MP snapper, had I actually opted to use my phone camera to take normal pictures, and since then I’d lost interest in taking 'artistic' or memorable shots. The main camera has a 40MP sensor which 'sees' red-yellow-yellow-blue light instead of the red-green-blue that other digital cameras do, and the point of this is both to pick up and boost colors better, and to take better night-time shots. I realize the photos used in this feature may not win any awards, but by my standards they're pretty great, and I'm proud of them!